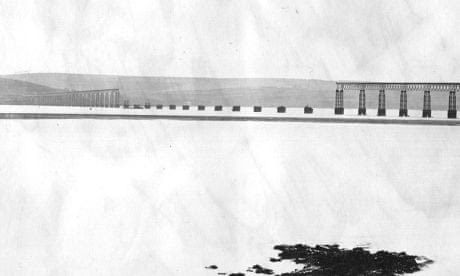 Did the Tay Bridge disaster appear to William McGonagall before the event, in a poetic vision or dream? Can the science ever be wrong? 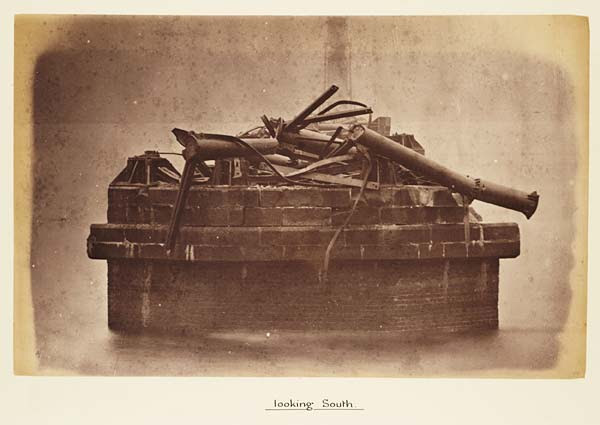 One of the ARs who most obviously became the government's go-to scientific and technical guy was George Airy, who was in position from 1835 to 1881. Airy covered a great deal of ground, intellectually and practically. 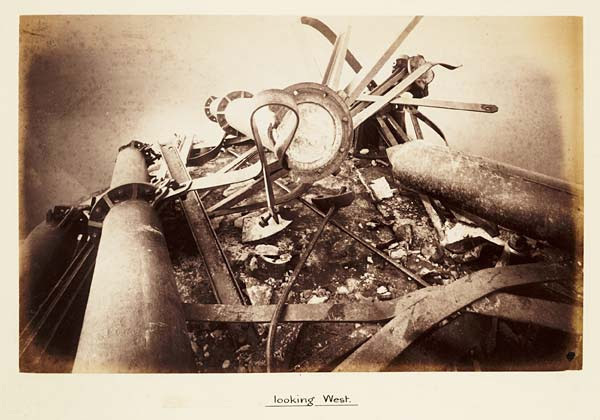 Unlike all his predecessors he was not much involved with daily observations and he had a significantly larger workforce at the Observatory, onto which observation, calculation and even management could be delegated. Airy, for example, did a considerable amount of work on the effect of iron ships' hulls on compass use and design. He also advised, like many other ARs, on education and he was involved in the organisation of the Great Exhibition. 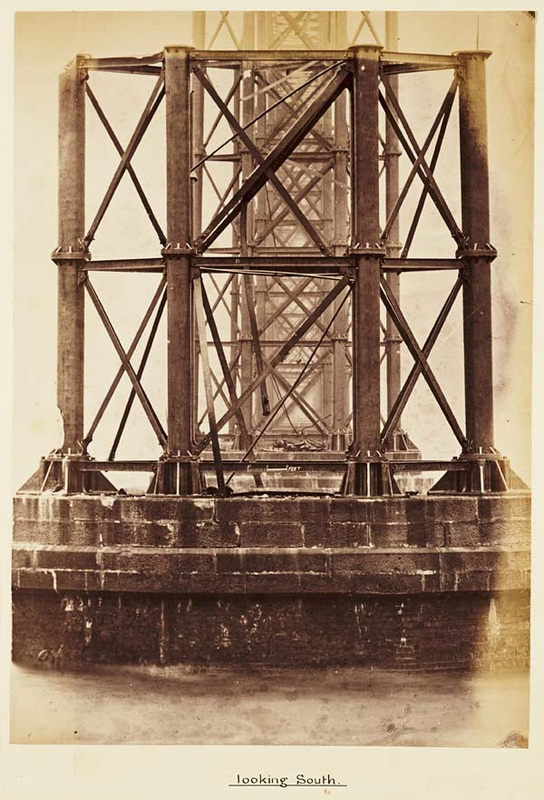 He was, perhaps most intriguingly, called in to advise the Great Western Railway on track gauges and the engineer Thomas Bouch about the pressures that might be exerted by wind on the planned rail bridge crossing the Forth. That latter advice got him into trouble. 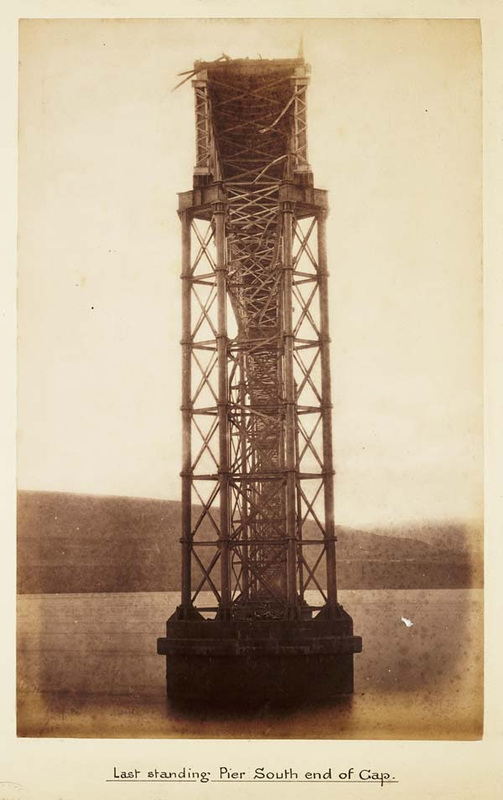 It was first applied by Bouch to the Tay Bridge and, when that collapsed in 1879, Airy was called in by the enquiry. 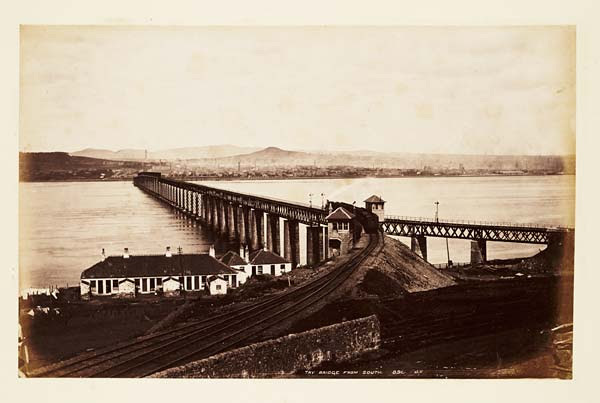 He claimed that his advice had been specific to the circumstances of the Forth and the design for that bridge (which was now speedily discarded). The enquiry agreed, suggesting that Bouch "must have misunderstood the nature of [Airy's] report". 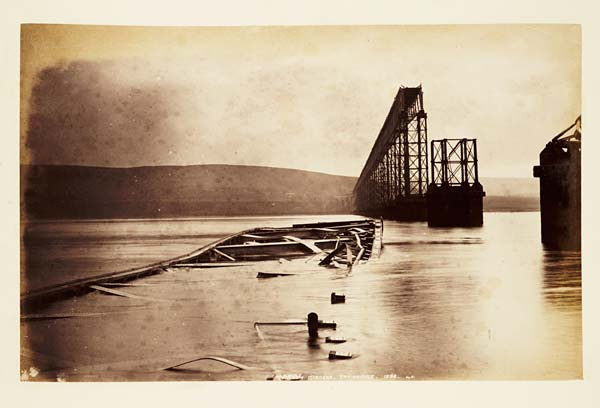 Was the Tay Bridge disaster caused by tornadic waterspouts? 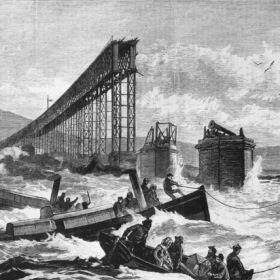 The Tay Bridge disaster of 28 December 1879, subject of a famously bad poem by William McGonagall, may have been caused by tornadoes. 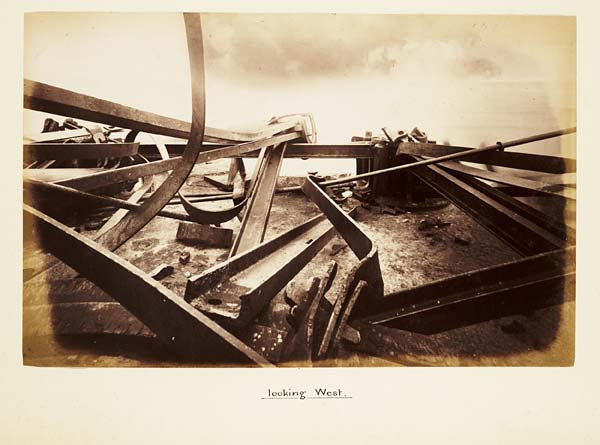 The wind was blowing hard that night, perhaps as much as a Force 11 gale, bringing down chimney pots and roof slates. 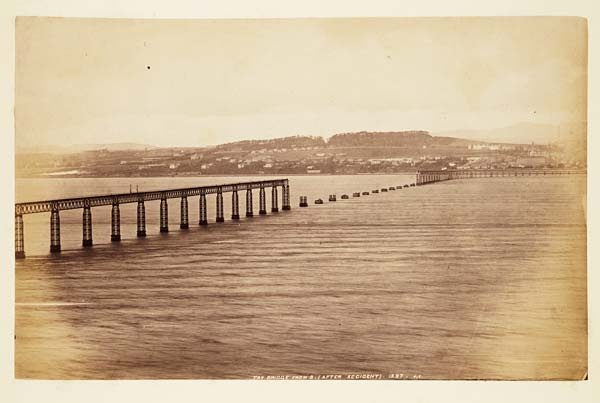 The iron girders of the Tay Bridge, opened in June 1878, should have been strong enough to withstand any winds. 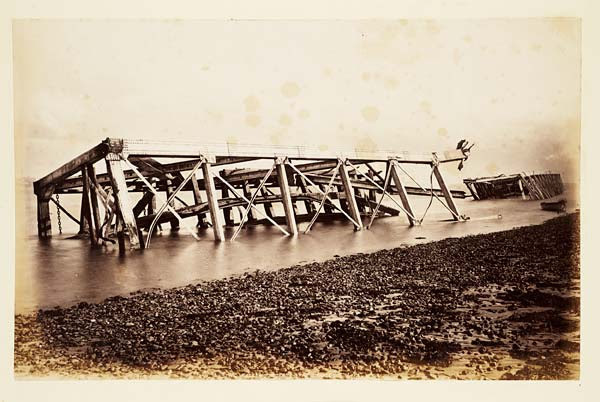 But a half-mile span of the bridge collapsed just as a train was crossing. 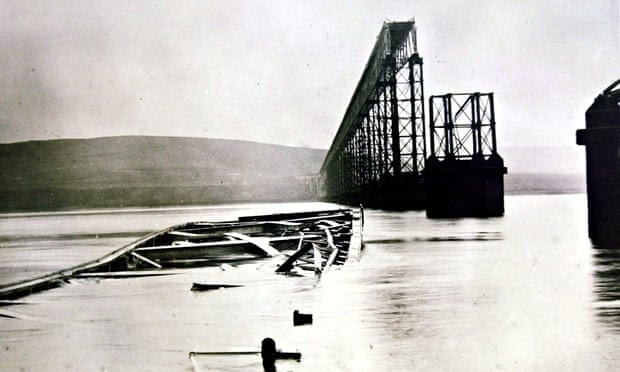 The rain plunged into the Tay, killing all 75 people on board. 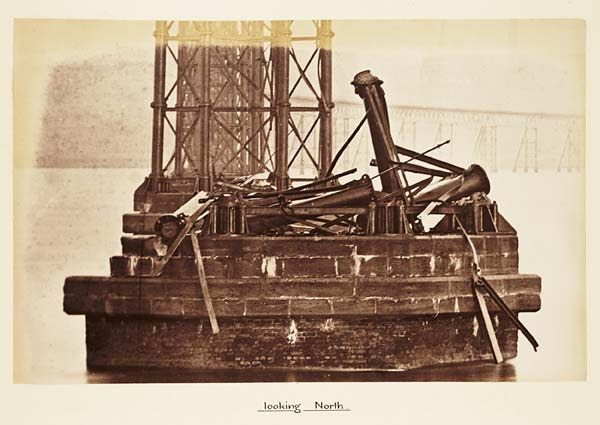 A court of inquiry ruled that the collapse was due to an “insufficiency of the cross bracing and its fastenings” to withstand the gale. 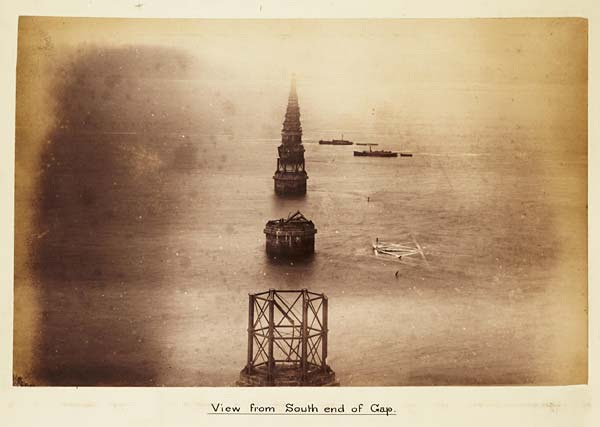 However, the inquiry did not hear the testimony of one witness, engineer WB Thomson, who reported seeing “two luminous columns of mist or spray”, perhaps 100 metres tall, travelling across the river. The spray from one column struck a nearby house with hissing sound, leaving the windows caked with salt. 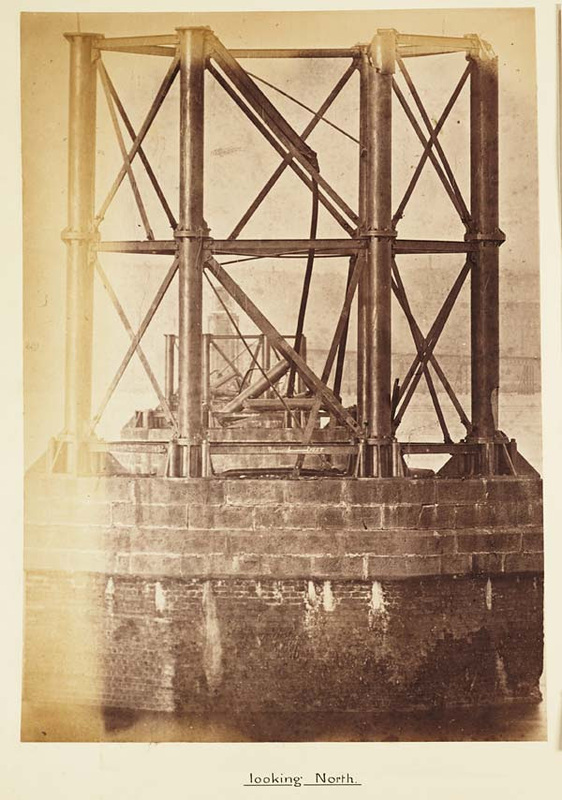 A second witness, William Robertson, also described the columns. 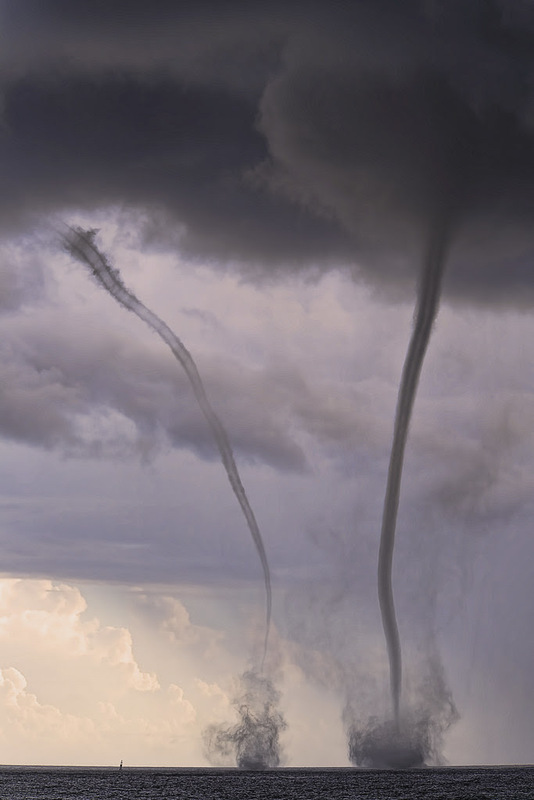 Researchers at tornado research organisation Torro believe these columns were waterspouts -– tornadoes over water made visible by the water droplets they carry. 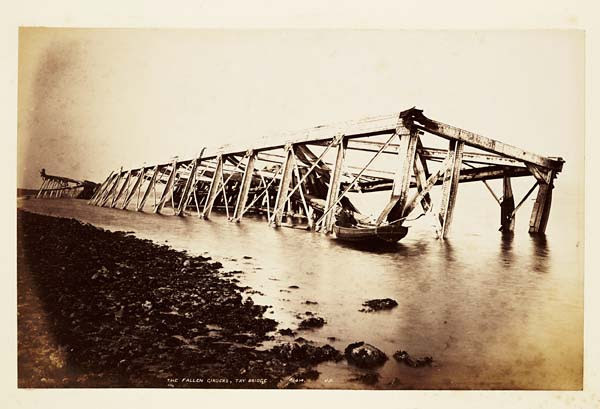 They believe the impact of one or more tornadoes brought down the bridge after it had been weakened by the wind. 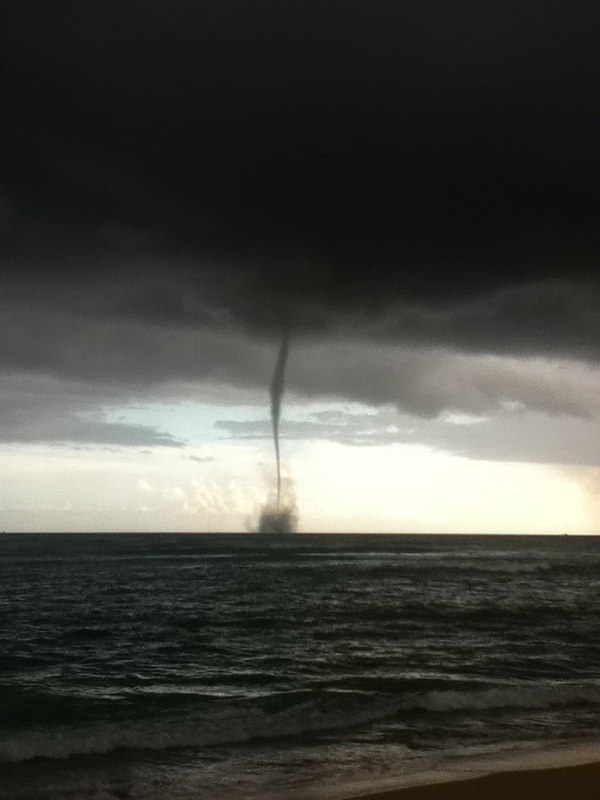 The story of the waterspout, as it is told in books, shows it to be a brief-lived tree. 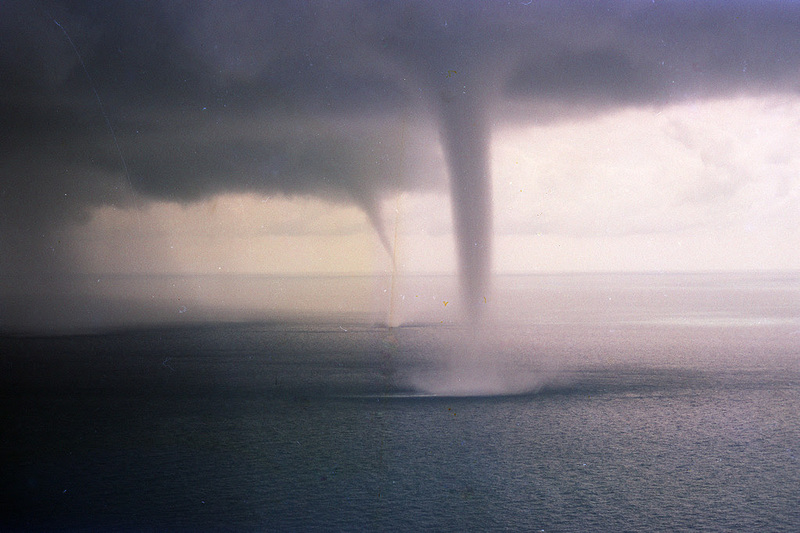 A cloud is whirling downwards, and sucking out its whirlpoint toward the sea, like a sucking mouth. 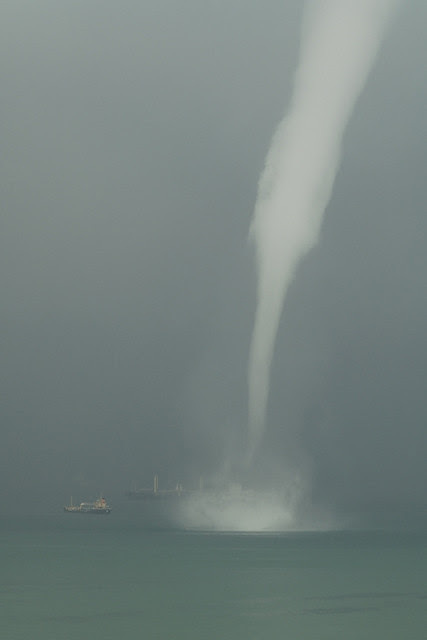 The sea below whirls upward, thrusting out its whirlpoint towards the cloud. 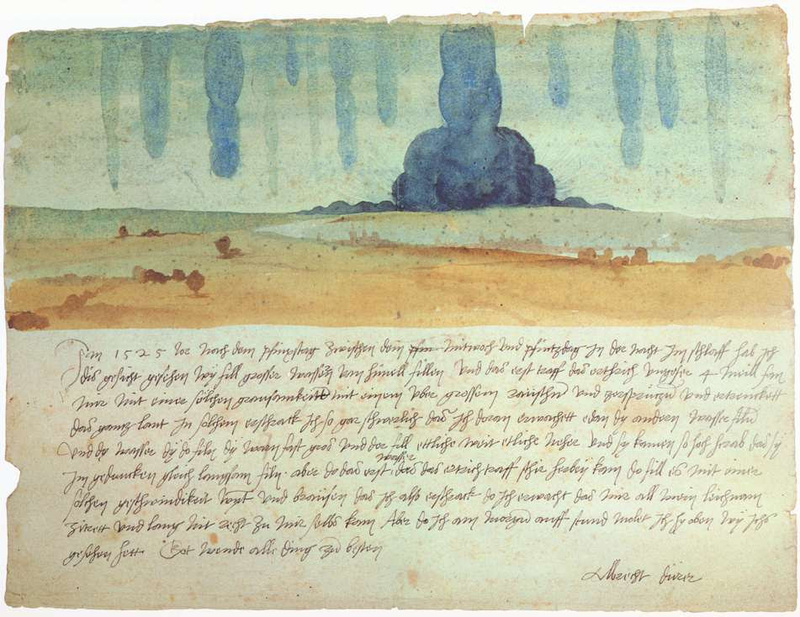 The two ends meet, and the water swept up in the sea-whirl passes out into the cloud-whirl, and swirls up through it, as it were gain-saying it. . . . 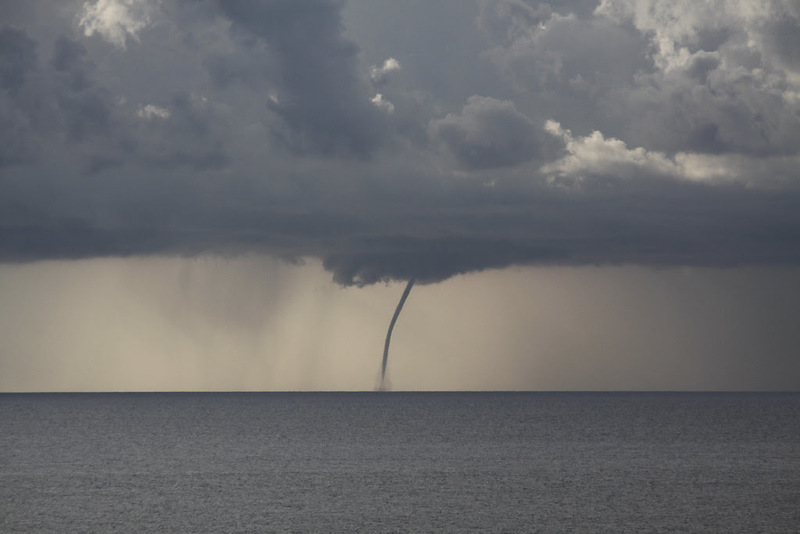 In the ideal waterspout, not only does the water swirl upwards through the cloud-whirl, but the cloud swirls downwards through the sea-whirl. . . . 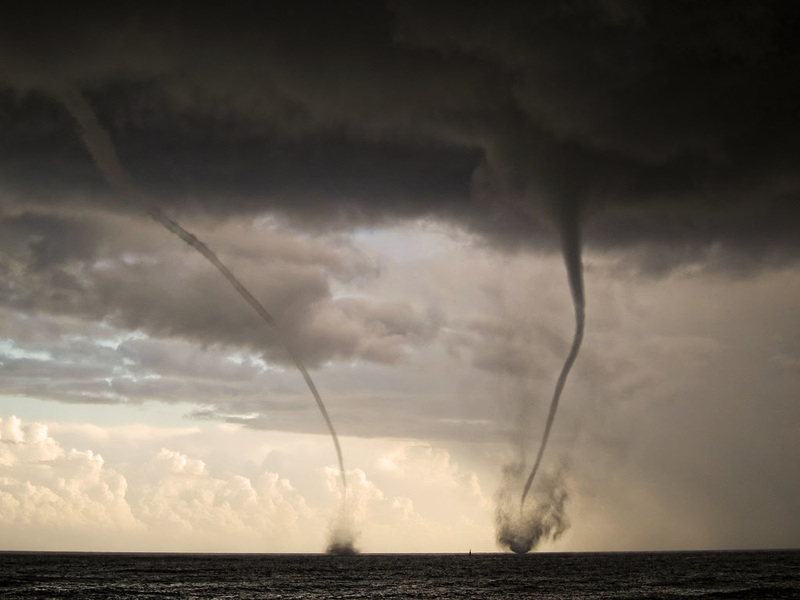 The ideal waterspout is not yet complete. The upper half must unfold like a fan, only it unfolds all around like a flower-cup; and it does not leave the cup empty, so that this flower is like a chrysanthemum. At the same time the lower half has unfolded in the same way, till there are two chrysanthemums back to back. . . . It is strength turning inside out. 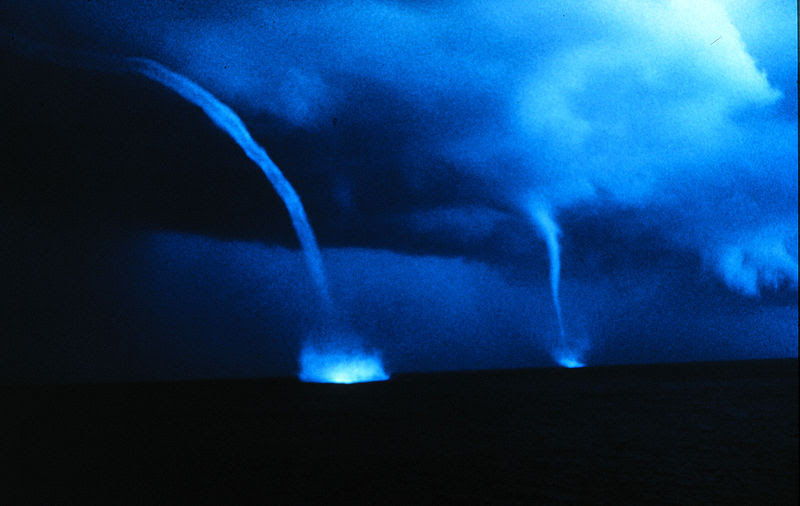 Such is the true beat of strength, the first beat, from which all others part, the beat we feel in all things which come within our measure, in ourselves, and in our starry world. . . .
Waterspouts in the Bahamas Islands: photo by National Oceanic and Atmospheric Administration, n.d. When is William McGonagall going to get a bit of due credit? Oh, McGonagall. Poor McGonagall. Every time another internet genius declares him the worst poet of all time, a handmedown opinion which has always been easier to pass along than to contest, a tiny thimbleful of blood, stored deep in the dusty cupboard of the heart, springs a leak. Just because you weren't meaning to be funny doesn't make your poems any the less funny and great, if you're McGonagall. If you checked out that short video link, you'll note that, toward the end, a descendant, dressed up in her best clothes, sitting in her best fake leather armchair (the one with black masking tape discreetly covering a rip in the armrest, a particularly touching detail for me, because I've had that same chair for almost 50 years, more than once actually carried it on my back, and carefully placed that same bit of home-repair black tape in exactly that same spot, though I can no longer sit in it without being swallowed up forever), tells the interviewer politely but firmly that No, she didn't like the Spike Milligan film about McGonagall, and didn't want to be involved in it, because, in fact, she thought her ancestor was, once again, being mocked, for what she suggested were/are "reasons" having to do with his being of low class, uneducated, and she was quite right, and I felt proud of her. The stories of McG's (non-, or fantasy-) relations with Queen V are too heartbreaking to think about for long without feeling awful. 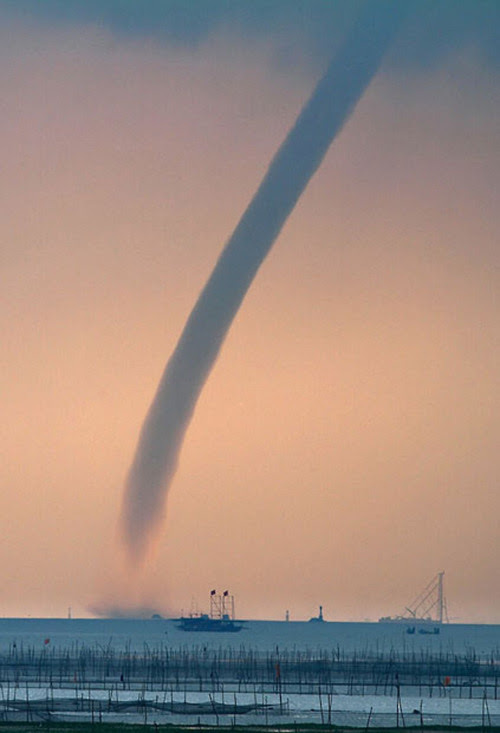 Tom, startling images and a haunting story. I wonder, though, if after a certain point building 'harder houses' makes us more likely to get killed? Rowan Moore had a fascinating article on the architect of the twin towers. In particular, the question that struck me was: what makes buildings and cities strong? Their opposition to nature? Very interesting article. Following out the implied proposition, that a Kyoto-style structure -- open, visibly fragile, vulnerable to winds and weather -- might not have simply presented to the world a far less formidable, imposing and dominating symbol of Money and Power (the real twin towers), but might also have seemed a far less effective target (after all, an attack on Humility and Vulnerability would be viewed far differently than an attack on the monolithic citadels of the global power of Capitalism), is a useful thought-exercise. 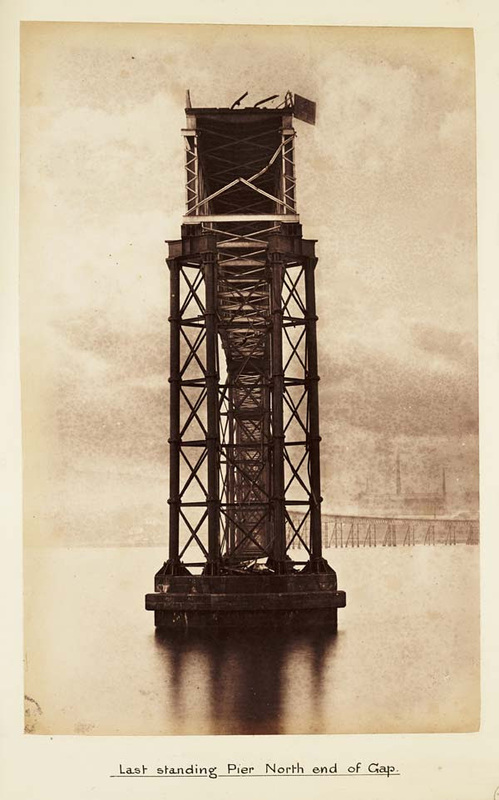 But of course no such architectural plan could have been sold to New York in the first place. Once the architect said things like "Kyoto" and "unprotected" and "vulnerable" and "open to the winds", there would have ensued a brief period of semi-polite throat-clearing and glancing-at-watches, followed by some sort of conciliatory resolution, along the lines of "Who let this guy in here? -- he must be nuts! ", and "Get him out of here right now... give him a broom and a bin on wheels, offer him a sub-janitor position, anything!" One suspects Mohamed Atta was a shrewd fellow who knew exactly what he was doing. He had done a long and careful study of urban design in his dissertation on Aleppo. He may even -- mirabile dictu! -- have known more about how cities are made, how they work, and how they can be made to fall, than, yes, Rudy Giuliani. That is a fantastic poem. 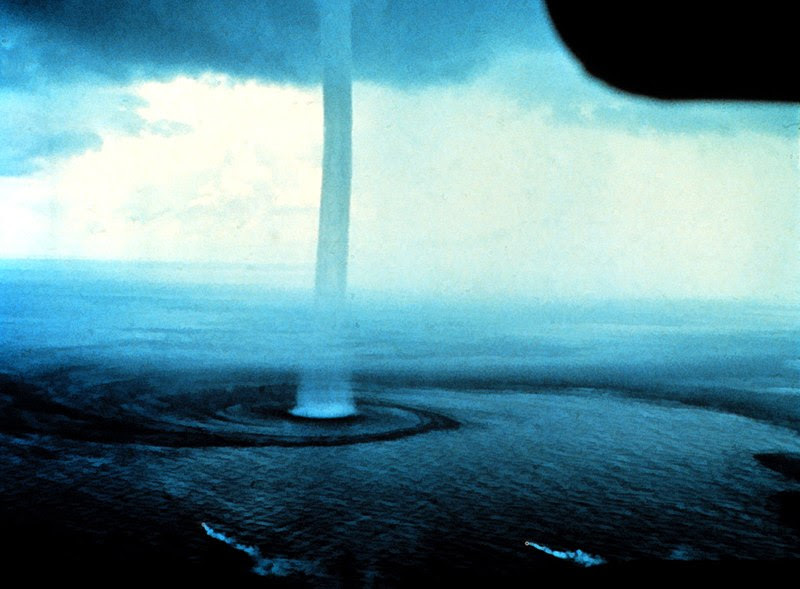 Also, as someone who is at the mercy of both wind and wave, a darn scary read. Just the other morning, we woke up to a new shipwreck outside our back door. 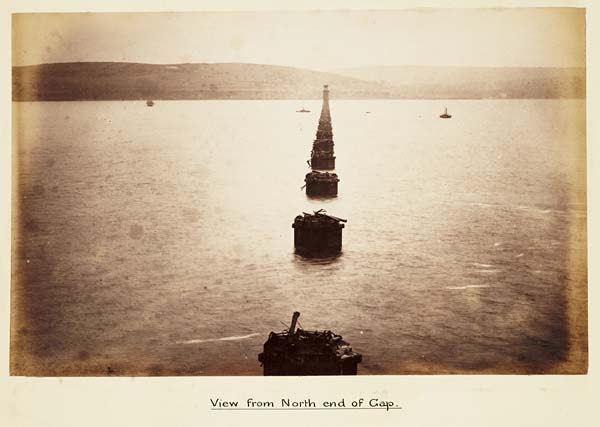 It looks like they'd just looked to thin a line to hold their anchor -- if we're ever wrecked, it'll be a more spectacular failure of engineering worthy of Wm McGonagall. Oops, I should pay more attention when I'm typing. The previous post should say, "It looks like they just used too thin a line to hold their anchor." Nora, that looks like the result of one of these powerful nor'easters we've been having. Easily strong enough to beach a cute toy boat. By inserting a bit of actual useful local knowledge into the comments, you've perhaps prevented future lookers from thinking it's some kind of cunning hoax. I call that a service. William McGonagall would undoubtedly have thought likewise, and likely would have declaimed upon that thought, in the event the next king tide was slow in arriving. The boat was gone this morning, dislodging the middle of the three pilings visible in the background as it went. We woke this morning to the gentle knocking of the former piling (now log?) 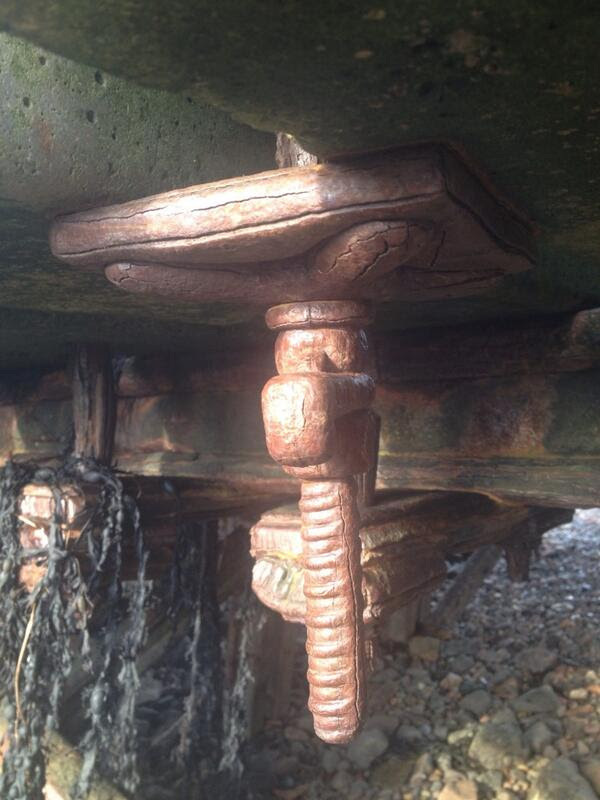 against our hull. I should write a poem.